Way back in the far off time of December I listed a few mid-season shows I was really looking forward to. 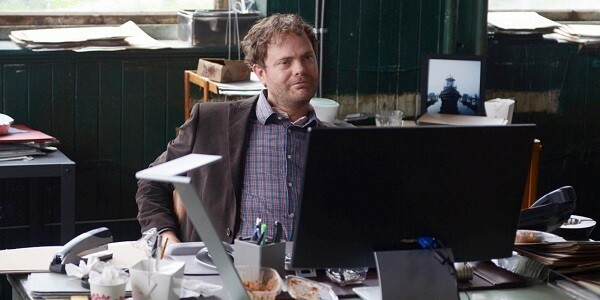 Of the ones that have debuted already, my favorite by far is “Backstrom.” Based on Leif G. W. Persson’s series of books, the show is about “overweight, offensive and irascible” Portland Police Bureau detective Everett Backstrom (Rainn Wilson) and the eccentric group of criminologists that he leads. 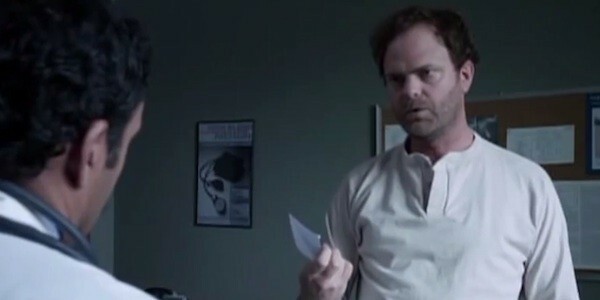 Rainn Wilson indelibly left his mark on Television as Dwight Schrute over nine seasons on the US version of “The Office.” Owing to Wilson’s fine acting ability, Dwight and Backstrom have very little similarities, but this role is just as striking as that of salesman in the earlier series. Indeed, Wilson completely embraces the most horrible, some say only, attributes of his new persona with an unbridled zeal. Backstrom is self-absorbed, slovenly, a drunkard and very possibly racist and sexist. At least that’s how he is presented at the outset. However, don’t judge this curmudgeonly book by its acerbic cover. Through Backstrom’s interactions with his team and roommate is where we see the true personality shine through. He has surrounded himself with an unlikely array of allies whose personalities and life-choices run very contrary to his supposed beliefs. There’s his gay roommate and underworld connection, Gregory (Thomas Dekker) whom Backstrom treats in an almost fatherly fashion, a relationship that is hinted to be an actual paternal one. Gregory is one of the few people who blatantly calls Backstrom on his shenanigans without fear of reprisal. Likewise, his team is comprised of individuals that are strangely devoted to the senior detective while seldom horrified by what he does or says. The immaculate dressed and spoken Sgt. Niedermayer (Kristoffer Polaha) seems to worship the ground that Backstrom walks upon. 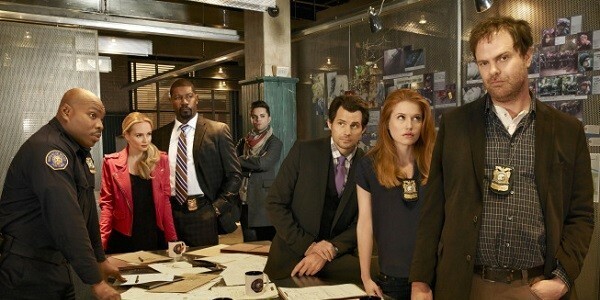 Devoutly Christian Detective Almond (Dennis Haysbert) has the highest conviction rate in the history of their bureau, yet still defers to Backstrom’s whims and warped logic. Uniform officer Frank Moto (Page Kennedy) is a former MMA fighter that is Backstrom’s de facto bodyguard, willing to unhesitantly step between the detective and those he callously enrages. 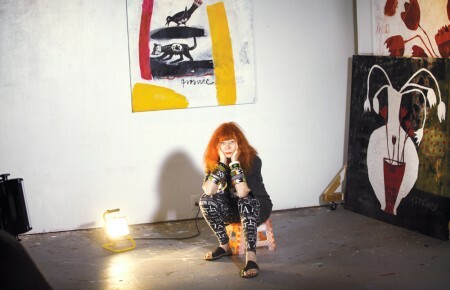 There only one who seems put upon by his seemingly Quixotic and eclectic style is his second in command, Nicole Gravely (Genevieve Angelson). Gravely actually wants to be a great detective and definitely has the chops to achieve that. 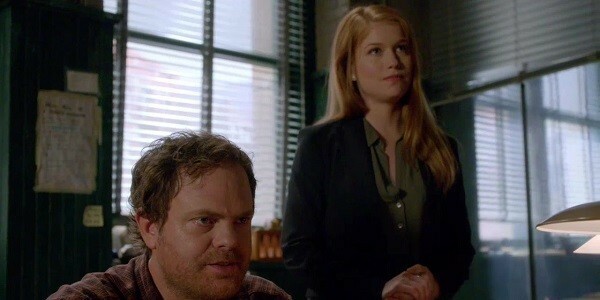 Once Almond points that out to Backstrom, the old curmudgeon surprises everyone, probably including himself, by helping her along. Then there is the civilian investigator, Nadia (Beatrice Rosen) who is helpful in getting information for the team as well as being Backstrom’s doctor-prescribed friend (yes, really). This is an exceptional show, not only making my pick for this week, but now possibly my favorite show of the season. There are jarring moments where one could be put off by the title character’s insulting tongue, but then you realize that he actually means the epithets he directs at his colleagues as a term of endearment. 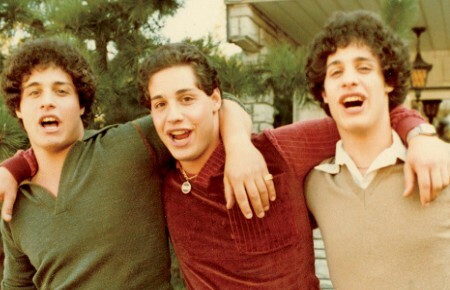 There are moments of happiness that burn through the rough exterior, such as the unbridled joy on his face upon flying a kite from his childhood that he though lost forever. 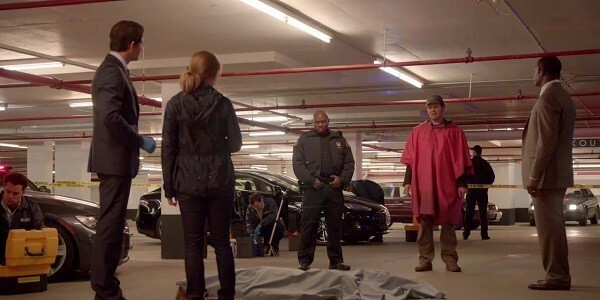 Make no mistake, Backstrom has no tolerance for those outside his inner circle, but considering the hints of anxiety and other ailments he may be suffering from, this is a man whose life may depend on those willing to accommodate the lifestyle he is determinedly not willing to change. There is al to more to explore with this show and its characters and I think you’ll agree that it’ll be entertaining watching it all unfold.